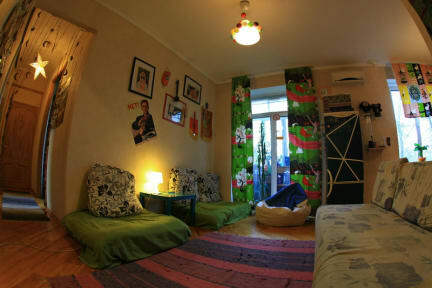 I love Kiev Central Hostel . Because staff is very kindly. Hostel is superclean and it has been safe . Me and my friend were stayed just one night. We are very like that hostel. It was nice, clean and safe to stay here but there is room for improvement and the most important one is a railing to be added to the top bunk to prevent the risk of falling down. Other suggestions could be a renovation of the room doors and the stairs of the apartment building. Also, hosts had better be more generous with smiles. These will all give guests greater peace of mind. 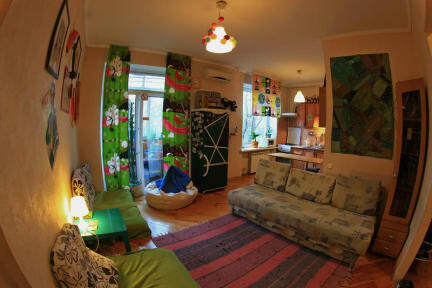 Still, it is a good choice to experience living in Kiev like a local and meet other travellers.